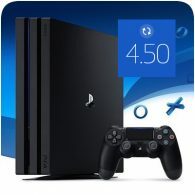 PS4 Firmware v4.50 is officially available as of today, bring with it lots of new features and improvements. Since the changelog for the beta was revealed, Sony has managed to add in extra features including automatic activation of the PS4 as primary system on first login, in-game chat compatibility using Remote Play and more. When using Remote Play on a Windows PC, Mac, Xperia Smartphone or Xperia Tablet, you can now use your device’s microphone for voice chat in games or in parties. You can now post screenshots directly to activities, such as those shown in [What’s New]. Press the SHARE button, select [Screenshot] and then select [Activities] as the upload destination. Also, you can now tag games and fellow players. Your status is now visible as (Mobile) when you sign in to an application such as (PlayStation App), even when you are away from your PS4 system. This means you are available to communicate with Friends. PlayStation VR now supports Blu-ray 3D content. The PS4 system you use to sign in to PlayStation Network for the first time is now automatically activated as your primary PS4 system. You can now launch (SHAREfactory) directly from (Capture Gallery). Press the OPTIONS button while viewing (Capture Gallery) and then select [Edit in SHAREfactory]. When you receive a party invitation, you can now respond from (Messages) or (PS Messages) with a quick reply. Your profile screen cover image on your PS4 system is now displayed in (PS Messages).